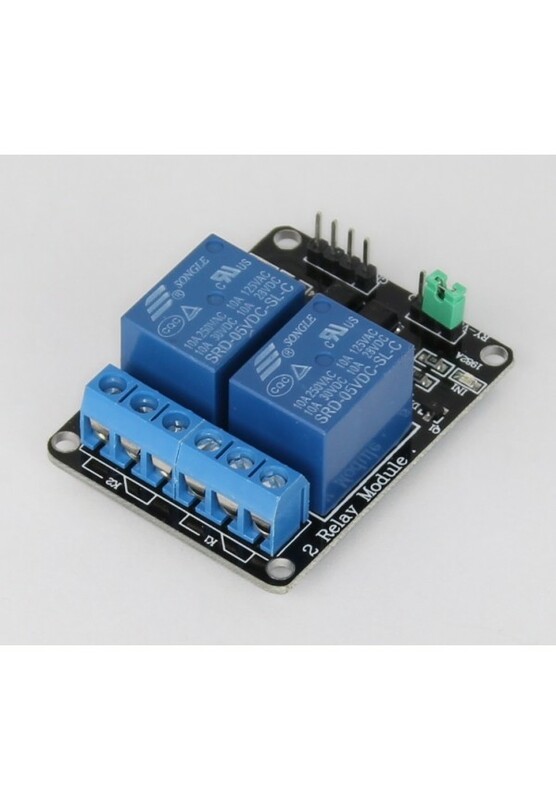 This 2-Channel relay board is suitable for switching of higher voltages and perfect for use with microcontrollers including Arduino, ARM, AVR, and PIC. The relays used are rated up to 10A and have NO/NC contacts. Each channel has an LED indicator to show the relay is on.